This year was not very good for the greens due to the high temperatures, though I have some mesclun, parsley and a few collard green plants that are still producing. 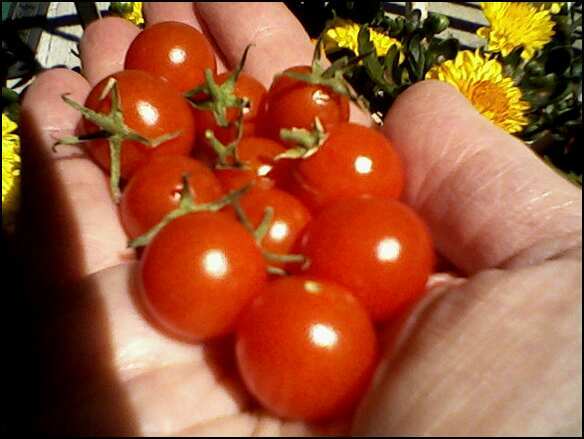 One of my favorites is the sweet snack tiny cherry tomato. These grew from fruits that fell in the pot last year! They make a sweet bite size garnish for salads. 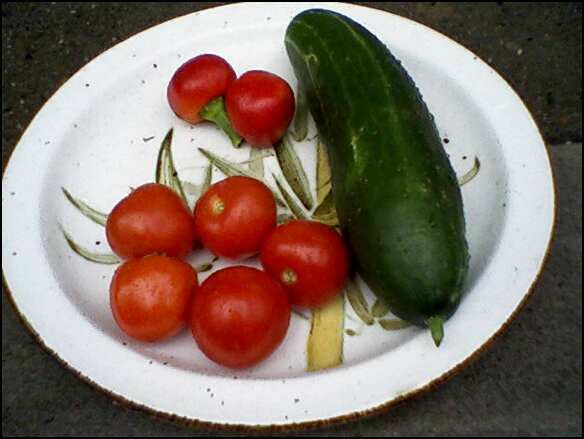 Cucumbers have been great this year, the trick was making sure the ground didn't dry out too much. Another hit this year was the cherry pepper. They are compact little fruits that pack a spicy punch but not too much. I believe they originate in Eastern Europe (Hungary).